Lion Rock FinTech Limited (“Lion Rock”), a Hong Kong-based FinTech company announces that it has raised HK$50 million (6.4Mio USD) in an equity financing led by Marathon Venture Partners. 9F Inc., the strategic investor who backed Lion Rock’s last round of financing, continued to invest in this round. The NYSE-listed FinTech company, Yirendai, participated in this round as a new strategic investor. This is a benchmark venture capital financing in the Hong Kong FinTech industry. The transaction is subject to approval from the Hong Kong Securities and Futures Commission (“SFC”). Upon completion, Lion Rock will own Noble Apex Advisors Ltd., an SFC licensed company. Noble Apex Advisors Ltd. operates iFund.com.hk, an online fund distribution platform that offers over 1,000 mutual funds from over 50 different asset management companies. 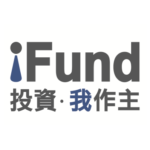 iFund is the largest mutual fund distribution platform in Hong Kong as measured by the number of funds offered. 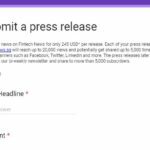 Lion Rock will also operate lionfin.com, a financial media platform providing real-time financial information and comprehensive wealth management information. Hong Kong, as a major international financial center, is lagging behind when it comes to FinTech development. Despite Hong Kong’s enormous fund sales market, which reached US$62 billion and expected to exceed US$100 billion in 2017, Hong Kong’s fund distribution is dominated by traditional banks whereas the proportion of online distribution is extremely small. Both fund houses and investors are expecting a sophisticated online financial services platform to serve a bigger role in a FinTech-enabled future. iFund will integrate online and offline resources and reshape the traditional financial services model with technologies innovations. This will be a major much-anticipated breakthrough in the field of financial innovation in Hong Kong. “Marathon Venture Partners has always been focusing on FinTech investments, especially opportunities related to financial infrastructure. We believe that with Hong Kong’s status as an international financial centre, well-established financial and legal system, solid talent base and the government’s commitment to promote FinTech innovations, Hong Kong start-ups will make the mark in FinTech field. 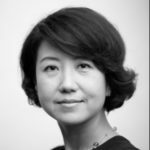 “Hong Kong as an international financial center, serves as the bridge connecting Mainland China and the world and enjoys unique advantages in the global financial asset allocation. In recent years, 9F has been continuously pursuing international expansion, focusing on, in particular, Silicon Valley, Hong Kong, and Southeast Asia. “We are very glad to be a strategic investor in Lion Rock. 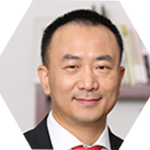 As a leading FinTech company in China, our Yiren Wealth Management platform provides integrated online wealth management services for mass affluent in China.